You are here: Home / Bitcoin News / Go-Jek and GrabBike Rivalry Heating Up in Jakarta – Bitcoin Integration Key? Go-Jek and GrabBike Rivalry Heating Up in Jakarta – Bitcoin Integration Key? The world as we know it is being disrupted on all sides, and various companies are vying to be the top contender for their services. Transportation disruption is nothing new and there are several major companies working towards that end already. But in Asia, different names are appearing on the scene. Go-Jek and GrabTaxi might not be major names in the Western world just yet, but in Indonesia, they are two of the most famous services. It goes without saying these emerging markets are of high value to the future of technology and innovation. In areas where people have no other choice but to think outside of the box, new and disruptive services are born. Go-Jek and GrabTaxi are two prime examples of that level of innovation, and both companies are in direct competition with one another. Indonesia is, among many other Asian countries, struggling to deal with the growing chaos of traffic in the nation. In particular, high-profile places, such as the capital city of Jakarta, have proven to be quite a headache for city officials and drivers alike. 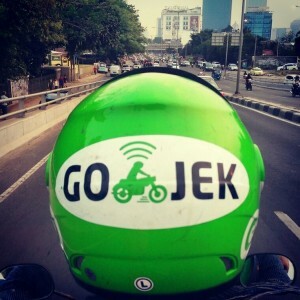 Go-Jek was founded by Nadiem Makarim, as he suddenly envisioned a feasible idea to solve the traffic chaos in the city. Ride-sharing platforms can not take off on their own, unfortunately. It takes quite a bit of time, money, and effort to put such an idea into fruition on a large scale. However, once there was a renewed investor appeal in this market, Nadiem managed to turn Go-Jek into a household name in all of Indonesia. After a few months of full-time dedication to this “side project”, Go-Jek turned into a ride-sharing business that transcends the traditional business model. In fact, the service is now operating in the grocery and parcel delivery services as well, seeing as how both markets could be beneficial from a service such as Go-Jek. But there is fierce competition on the block, as GrabTaxi is a business that not originated in Indonesia, but became a household name in the country. Ever since launching in Malaysia in 2012, GrabTaxi has gone through the motions of expanding their business into 23 cities and eventually taking the competition in Jakarta from Go-Jek. With over 400,000 passengers using the GrabTaxi service – through a mobile app – every day, and a total of 620,000 monthly active users, business has been booming for this company. 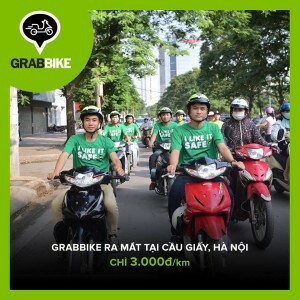 To top it all off, GrabTaxi launched its motorcycle service, called GrabBike, in Jakarta. Personal transportation in Jakarta will be getting cheaper over time, as GrabBike will continue to compete with Go-Jek, which can only be beneficial to the individual consumer. Despite all the positive aspects both companies bring to the table, there are some regulatory hurdles to overcome as well. The recent investigation into Uber could trickle down to these companies in the near future. Furthermore, motorcycle taxis are, technically speaking, illegal in the country, which could throw a monkey wrench in the operations of both businesses. Indonesia is, despite its allure, a country where financial systems are not accessible to just everyone. In particular, the city of Jakarta, which houses 9,6 million residents and sees an influx of 1.38 million commuters from surrounding suburbs, is a key market for services like Go-Jek and GrabBike. However, the success of both companies may very well hinge on how they process payments. Cash transactions are too insecure, as bike taxi drivers could end up being mugged or robbed for carrying too much money on them. Traditional payment methods, such as credit cards and bank accounts, are only available to a certain percentage of the population. But for those who have no access to a credit card or bank account, the options are very limited. 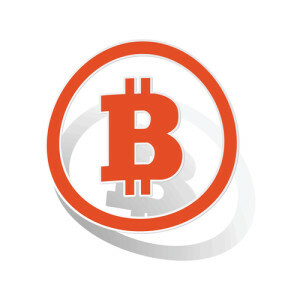 Bitcoin could prove to be of value to both Go-Jek and GrabBike, as the disruptive digital currency does not rely on the traditional financial ecosystem to send and receive money. In fact, a business model could be built up in which a customer pre-deposits a Bitcoin amount into an “escrow wallet”, of which funds are deducted every time a certain distance has been traveled. For example, if a ride is 10km long, 1/10th of the payment would automatically be transferred to the company’s Bitcoin wallet for every km covered.